Please click on an ACGME Accredited Neurotology Fellowship from the list below for details of their program. Looking for alternative/additional options to enhance your neurotology/otology training? Disclaimer: The ANS is not affiliated with any of the following courses. We want to provide as much information as we can to our Trainees. The University of Michigan Department of Otolaryngology-Head & Neck Surgery offers a post-residency research training opportunity in collaboration with the Kresge Hearing Research institute funded by our T-32 training grant every year. Since 1986, the Advanced Research Training in Otolaryngology Program (ARTOP) has provided research training in otolaryngology for medical students, resident physicians and post-residency fellows to develop the next generation of clinician-scientists. This opportunity may be of interest to any candidate who fails to match into a clinical Neurotology fellowship and seeks to improve their academic resume, or for those who wish to undertake an otologic research fellowship to prepare for an academic career with or without further clinical training. 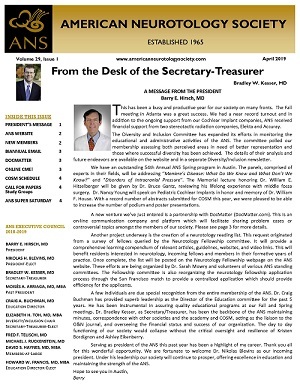 If you would like more information about the ARTOP Program, please contact the program director, Dr. Gabriel Corfas, [email protected] or the Neurotology fellowship program director, Dr. Steven Telian, [email protected].